The MInga is in a permanent state of assembly till its demands are met. 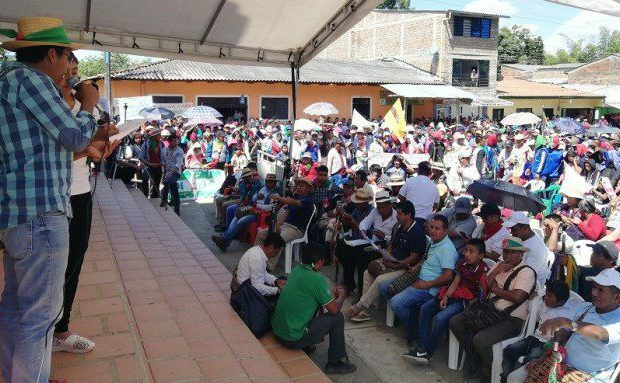 On April 9, the Regional Indigenous Council of Cauca (CRIC) condemned the refusal of president Ivan Duque to meet the participants of the ‘Social Minga for the defense of life, territory, democracy, justice and peace’ on the pretext of security. 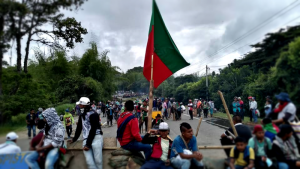 The members of the Minga lifted the blockade on the Pan-American Highway after an agreement was signed with the government on April 5, in which the latter had promised to hear the concerns of the participants of the Minga. However, the president did not fulfill his commitment, even as the members of the Minga waited for his arrival all day at the main park of Caldono municipality. The Colombian president arrived in the municipality of Caldono, but refused to attend the meeting, claiming that an attack against him had been planned by armed groups who had infiltrated the social Minga. The CRIC, as a representative of the participants of the Minga, rejected the president’s argument and accused him of dishonoring his word and disrespecting them by not listening to them. “The Minga of the southwest trusted the word of the government and fulfilled [its demand]. After 27 days of action on the Pan-American highway, we opened the highway as a vote of confidence so that Iván Duque would come for dialogue with the Mingueros and Mingueras [men and women participants of the Minga]. However, the president did not have the ability to listen to the people,” it said in a statement. “The Minga comprises the Indigenous, peasant, Afro-descendant and other social organizations of the country. Here there are no terrorists, no criminals. 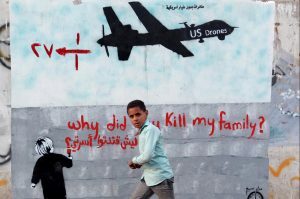 Here, there are dignified people who hope to have a dialogue on issues that concern us, such as the issue of land and risks to territory and the issue of life,” the organization pointed out in the statement. The Mingueros and Mingueras are seeking a dialogue with the president to demand the transformation of anti-social changes in the National Development Plan (PND), the recognition of their rights to their lands as well as the compliance with the peace agreements signed in Havana in 2016 between the former government and the Revolutionary Armed forces of Colombia (FARC). A meeting with the president was the primary demand of the Minga. 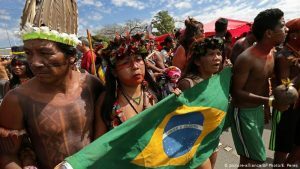 In February, the CRIC had sent a formal letter inviting the president to attend a meeting with them on March 12 in the Indigenous territory of Las Mercedes in the Caldono town. But the president refused to attend the meeting and since then, the Pan-American Highway was blocked by these communities. Since the agreement on a meeting with the president did not materialize, the Minga is in permanent assembly until it happens. After struggling for almost a month, enduring heavy police repression, suffering numerous injuries, losing a young member and eight Indigenous guards, the participants of the social Minga reached an agreement with the government on April 5 in the Mondomó city in Cauca department. Interior minister Nancy Patricia Gutiérrez, peace commissioner Miguel Ceballos and the director of the National Planning Department (DNP) Gloria Alonso, as representatives of the State signed an agreement for investment of 823 billion pesos with the delegation of social Minga. This is to take care of the demands of housing, productive projects, land, roads, education, protection to social leaders, culture, sports and health, among other things. In return, the government’s representatives demanded that the protesters lift the road blockade on the Pan-American Highway as it would facilitate the arrival of the president in Valle del Cauca. The blockade on a section of the Pan-American highway between Cali and Popayan cities in the Cauca department, which had been blocked by thousands of Indigenous people, peasants and Afro-descendant people from the Putumayo, Nariño, Cauca, Valle del Cauca, Huila and Caldas departments since March 12, was immediately lifted. 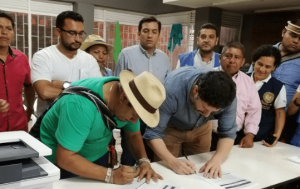 On April 11, the CRIC acknowledged the national and international support and thanked all those who expressed their solidarity with the Minga, organized by several peasant, Indigenous and afro-descendant communities in the southwest Colombia. The CRIC, on behalf of all the participating organizations, thanked the participants for the revolutionary spirit with which they struggled for a month, enduring relentless aggression on the part of national government. CRIC thanked the senior members of the community for their guidance and wisdom, the Indigenous guards for protecting everyone at the Minga day and night, the women for leading the struggle and kitchens and love with which they prepared food, and the young people for giving a helping hand wherever possible. 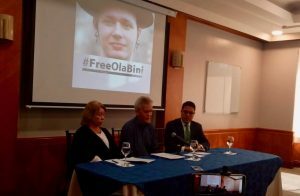 The organization also thanked the alternative media, television, radio and press for fulfilling their duty of communicating the truth, as well as national and international activists and leaders for their solidarity with the struggle of the peasants, Indigenous and Afros of Colombia. On April 9, various social sectors took to the streets across Colombia and carried out torch marches to commemorate the “National Day of Memory and Solidarity with Victims” of the armed conflict in Colombia and in support of the Minga. During the mobilizations, the importance of the unity of social movements was highlighted and the call to join the national civic strike on April 25 against the National Development Plan (PND) was given. Hey Buddy!, I found this information for you: "Social Minga condemns Ivan’s Duque’s refusal to meet communities". Here is the website link: https://peoplesdispatch.org/2019/04/16/social-minga-condemns-ivans-duques-refusal-to-meet-communities/. Thank you.